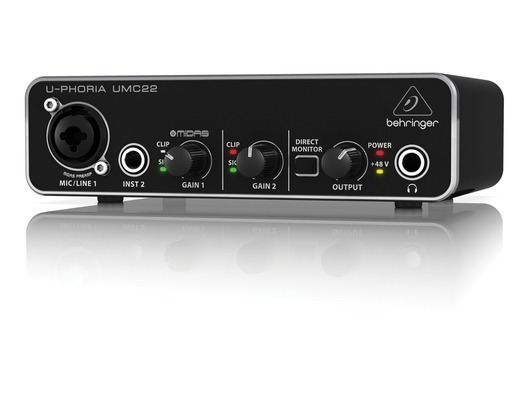 The Behringer UMC22 U-PHORIA Audio Interface is a compact 2x2 USB audio interface used to create professional recordings with microphones and instruments on your laptop or computer. When it's time to make recording history, you need the best audio interface you can get - and you need one you can count on. The ultra-compact UMC22 2 x 2, 48 kHz USB audio interface with a professional-grade MIDAS-designed Mic Preamp, combination XLR/ TRS input for your vocal and direct instrument input (no DI required) and an additional ¼ " Instrument Input. The rich feature-set, which also boasts a powerful Phones Output for the Direct Monitoring of your session, plus 2 Outputs and USB-supplied power - makes the UMC22 the best, and most-portable recording interface in its class! Providing 48 kHz resolution, for the amazingly-detailed and pristine recording quality your music deserves. 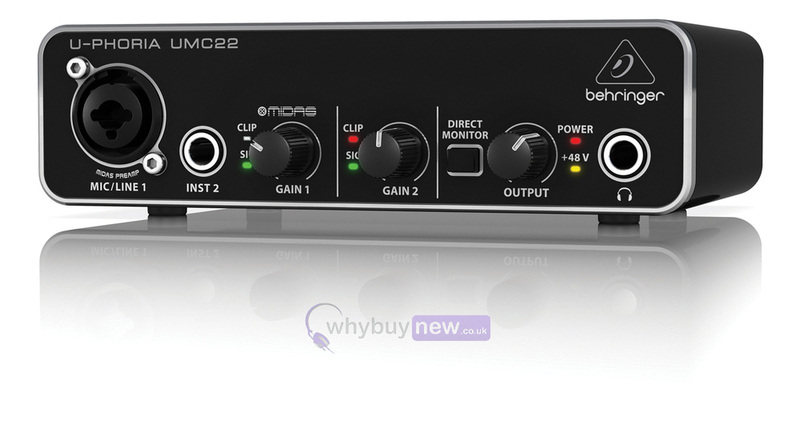 When those creative juices start flowing, you need a fast and easy way to get those musical ideas into your Mac or Windows computer - that's where the UMC22 comes in. Just plug in a microphone, instrument or line level sources to the combination XLR/TRS input and additional ¼ " input for the ultimate in studio flexibility. The easy-to-use UMC22 is ready whenever you are, ensuring an ultra-clean pathway to your computer's hard drive for stunningly-professional results - the perfect solution for the solo musician wanting to capture that next big hit! The ultra-compact UMC22 is totally compatible with virtually all popular recording software including Avid Pro Tools, Ableton Live, Steinberg Cubase, etc., so you can record tracks directly into you favorite computer-based DAW - and mix and master to your heart's content. The UMC22 mix control allows direct monitor select, which means musicians can experience their performance clearly - resulting in a better performance and recording. With its powerful Phones Output, Direct Monitor Level control, Status and Signal Clip LEDs, plus USB-supplied power - the UMC22 is ready to go wherever you go. 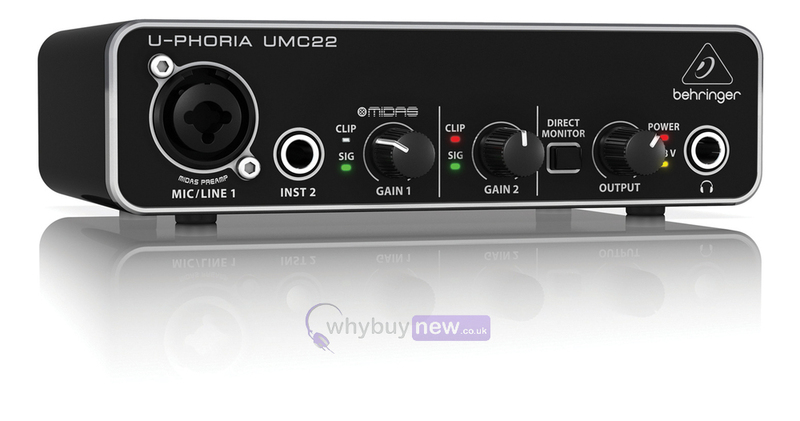 Here we have the Behringer UMC22 U-PHORIA USB Audio Interface in new and manufacturer refurbished which will come boxed 'as new' with a 1-year warranty. Buy this amazing audio interface with confidence with 100% satisfaction guaranteed or your money back!